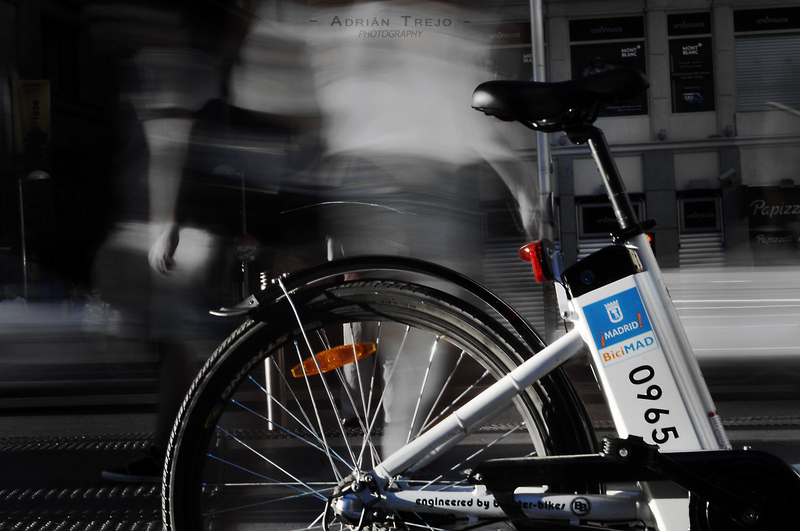 What could be better than a bike in Madrid? Some people walks, but the bicycle it´s the most popular transport at the city. Captured with a Nikon D5000 with 18-55mm. lenses using a longer exposure than normal. Processed at Adobe Photoshop CS5.